Organisers of the Guide Dogs’ International Festival of Working and Assistance Dogs - due to take place this weekend - have cancelled the event. The festival was being held at the Norbreck Castle Hotel tomorrow and Sunday, but the organising committee says transport problems in the resort have led them to rearrange it for next year. 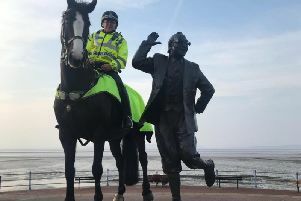 A spokesman said: “[The postponement] is due to the transport difficulties with road and rail closures in and around Blackpool at the time of the event. The event will now take place on February 2 and 3 2019.